What a great program offered at Meadowlands 2017 by the New Jersey Association of Justice. All presenters were wonderful! It was a pleasure speaking to my fellow colleagues about expedited trials in New Jersey. On Saturday, March 19, 2016, Kristy L. Bruce volunteered with her Trenton Rotary club at the "Loaves and Fishes" service event at St. Mary's Cathedral in Trenton where food is served to the needy. The Trenton Soup Kitchen is closed on weekends, which means that anyone in need of a meal needs to find another location. St. Mary's Cathedral allows their basement hall to be used for two Saturdays a month for a food service event to take place. Kristy helped serve a traditional St. Patrick's day lunch in honor of the holiday. Founded in 2009, The Rubinstein Law Firm, LLC is a litigation firm dedicated to providing its clients with high-quality legal services in a variety of practice areas including personal injury, criminal defense, and business/commercial litigation. Delivering prompt and efficient service in a personalized manner is a hallmark of this small and specialized boutique law firm. Putting clients first is key to the firm's values and business philosophy. The firm's partners personally guide and empower clients through every step of the legal process. Giving back to the communities in which it is active is a big part of the firm's corporate culture, and both Rubinstein and Bruce are actively involved in numerous year-round charitable endeavors within Mercer County and beyond. Volunteering and giving back keeps a person grounded and allows you to understand what's going on in the world around you, both of which are important parts of not only being an attorney but of being a well-rounded individual. Rubinstein agrees. "Both Kristy and I are so fortunate to be able to do what we do, and appreciate the fact that we have the ability to earn a living by helping other people. We also recognize that there are many people who are not as fortunate as we are. We try to show our appreciation for all that we have by helping out whenever we can and making giving back to the community a top priority. Bruce is a member of the Rotary Club of Trenton and also serves on that organization's board of directors. Through her affiliation with the Mercer County Bar Association, she has volunteered to help serve food at the Trenton Area Soup Kitchen. She is also a past volunteer with the organization Wills For Heroes. Rubinstein recently attended Shiloh Community Development Corp.'s career day and provided a free expungement law seminar to attendees. We had a great time helping out at the Trenton Community Day. We met a lot of wonderful people and hopefully gave some awesome advice! Part of being an attorney is also giving back to the community. 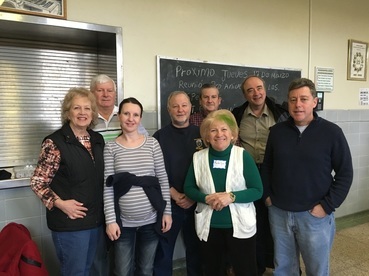 Today, through the Mercer County Bar Association, volunteers, including our own, Kristy L. Bruce, Esq., were on hand to help serve food at the Trenton Area Soup Kitchen. This facility offers an incredible, absolutely needed service to our locals. 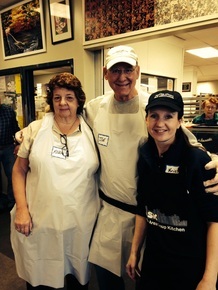 Without volunteers, they would not be able to serve lunch and dinner during the week. The Rubinstein Law Firm, LLC announces that partners Robert W. Rubinstein and Kristy L. Bruce have been selected by their peers as a New Jersey Super Lawyer and New Jersey Rising Star, respectively, in the April 2015 issue of New Jersey Monthly Magazine. The Super Lawyers selection process involves nomination by colleagues, research by Super Lawyers staff and peer evaluation by top attorneys in more than 70 practice areas. Only the top 5 percent of lawyers in a given state are selected as Super Lawyers. This is Mr. Rubinstein's fifth straight selection and sixth overall. Rising Stars are age 40 and younger or practicing 10 years or less. No more than two and one-half percent of lawyers in a state area are selected for the Rising Stars designation. This is Ms. Bruce's fourth straight selection as a Rising Star. The annual oyster bowl competition happened on February 1, 2015 at Blue Point Grill in Princeton, New Jersey. The competition challenges competitors to eat as many oysters as they can in 2 minutes. The proceeds from the event benefit Susan G. Komen for the Cure and local YWCA Breast Cancer Resource Center. 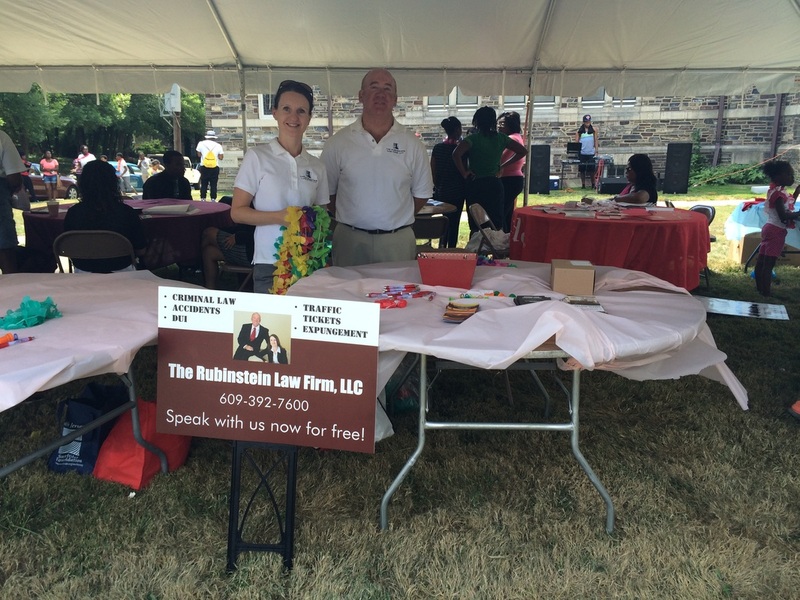 The Rubinstein Law Firm sponsored a team to compete in the bowl. 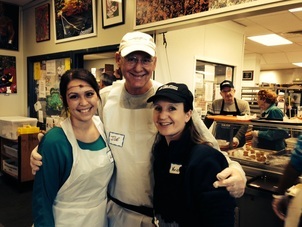 Team member Robert W. Rubinstein ate 18 oysters. Team member Alex Balagour ate 19 oysters. Team member Mike Mumola ate 23 oysters. Team members Mark Pressman ate 27 oysters. The Rubinstein Law Firm congratulates its partners ROBERT W. RUBINSTEIN and KRISTY L. BRUCE on the publication of their book "New Jersey Personal Injury Law" by ThompsonReuters. The book is a comprehensive treaty designed to help new and seasoned lawyers in how to handle a personal injury case from the initial client phone call through jury trial and verdict. Rubinstein is also the author of "New Jersey Motor Vehicle Law and Practice Forms." 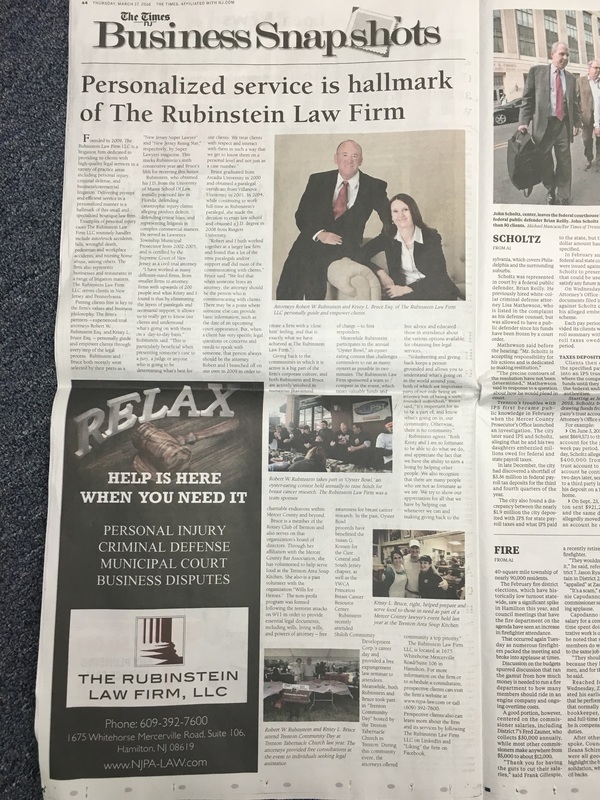 The Rubinstein Law Firm announced that partners ROBERT W. RUBINSTEIN and KRISTY L. BRUCE have been selected by their peers as a New Jersey Super Lawyer and New Jersey Rising Star, respectively, in the April 2014 issue of New Jersey Monthly Magazine. The Super Lawyers selection process involves nomination by colleagues, research by Super Lawyers staff and peer evaluation by top attorneys in more than 70 practice areas. Only the top 5 percent of lawyers in a given state are selected as Super Lawyers. This is Rubinstein's fourth straight selection and fifth overall. Rising Stars are age 40 and younger or practicing 10 years or less. No more than 2.5 percent of lawyers in a state area are selected for the Rising Stars designation. This is Bruce's third straight selection as a Rising Star. The Rubinstein Law Firm announces that partners ROBERT W. RUBINSTEIN and KRISTY L. BRUCE have been selected by their peers as a "New Jersey Super Lawyer" and "New Jersey Rising Star," respectively, in the April issue of New Jersey Monthly Magazine. The Super Lawyers selection process involves nomination by colleagues, research by Super Lawyers staff and peer evaluation by top attorneys in more than 70 practice areas. Only the top 5 percent of lawyers in a given state are selected as Super Lawyers. This is Rubinstein's third straight selection and fourth overall. Partners ROB RUBINSTEIN and KRISTY BRUCE of the Rubinstein Law Firm, LLC have been recognized as outstanding lawyers for 2012 by Super Lawyers, a Thomson Reuters' rating service. Rubinstein has been named to the Super Lawyers list as one of the top attorneys in New Jersey for 2012. No more than five percent of the lawyers in the state are selected. Bruce has been named to the Rising Stars list as one of the top up-and-coming attorneys in New Jersey for 2012. Each year, no more than 2.5 percent of the lawyers in the state receive this honor. Rubinstein was selected following a rigorous multi-phased process that included a statewide survey of lawyers, an independent research evaluation of candidates and peer reviews by practice area. Bruce's selection was the result of a research team at Super Lawyers. Obviously, it is a special honor for both me and Kristy to be selected for the same year. "Obviously, it is a special honor for both me and Kristy to be selected for the same year," Rubinstein said. While the first Super Lawyers list was published in 1991, the ratings now occur nationwide. The achievement is also big news for us because the process has grown to cover more than 70 practice areas. The holiday season has officially begun. Therefore, the police are vigilant with those who may be Driving While Intoxicated. Despite your best efforts, a broken tail light gives the officer an excuse to stop you. Under oath, we would all swear we could not live without the small-business home improvement guy (or gal) who fixes our leaky roofs, dripping faucets, cracked pavement, warped decking, broken railings…well, you get the picture. These talented and skilled individuals also help us make that long overdue move toward remodeling and/or building an addition. They may even help us make the decision to fix up the house, put in on the market, move up in the world…or downsize! Rob Rubinstein and Kristy Bruce don’t profess to be faster than a speeding bullet. Nor more powerful than a locomotive. But when it comes to seeking justice, they leap into the courtroom in a single bound! That’s why they established The Rubinstein Law Firm, LLC. “In larger firms, it’s almost impossible to give your all to a particular client, even though that client may very much need your undivided attention,” Rubinstein says. “Our philosophy is ‘one crisis at a time.’ We work hard to de-escalate the fear, protect our client, and obtain justice. We also feel it is important to help people learn from what they’ve experienced. Win or lose, we never rush to the next thing. “Though it’s usually a win,” he adds with a smile. This strong commitment to "saving the day" has brought Rubinstein, founder of The Rubinstein Law Firm, a great deal of success. He is highly respected in the areas of personal injury, business litigation and criminal defense for DUI/DWI. He received his degree from the University of Miami School of Law and is admitted to practice in New Jersey, Florida, and before the U.S. Supreme Court. Having won important appellate cases against such corporations as Disney and Trump Casino, he was selected for inclusion as a New Jersey Super Lawyer in 2006 and 2011. His partner, Kristy Bruce, hails from Pennsylvania, graduating from Arcadia University, where she obtained a bachelor's degree in psychology followed by a paralegal certificate from Villanova University. As a paralegal, she worked many cases in tandem with Rubinstein. In May 2008, she earned her law degree from Rutgers University and is admitted to practice in New Jersey and Pennsylvania. "We understand the importance of sharing our strengths with our peers and the community in general, as well as making ourselves unconditionally available to the individual, business or industry seeking our services. Often the legal process can feel overwhelming. Very rarely is it crisis-free. When people walk into our offices, there is no intimidation. The direct access they have to me or Rob makes them feel immediately protected. Rob Rubinstein and Kristy Bruce weren’t surprised a couple of years ago when UCLA researchers released a report that stated the human brain responds to being treated fairly. In brief, the report confirmed the notion that people respond to being treated fairly the same way they respond to winning money and eating chocolate. Rubinstein and Bruce smile because they didn’t need confirmation. They already knew that…both instinctually and professionally. They feel like expert witnesses when it comes to swearing to the fact that being treated fairly turns on the brain’s reward circuitry. That's why they branched off to start their own law firm. "In larger firms, it's hard to personally connect with a client, whether they are trying to protect themselves or their business," Rubinstein said. "There is no time to share the satisfaction that comes with seeking and obtaining justice. There's no time to help people digest - and learn - from what they've just experienced. Most attorneys must simply move on to the next thing." This deeper focus and commitment to "quality time" has brought Rubinstein a great deal of success. He is highly respected in the areas of personal injury, business litigation and criminal defense for DUI/DWI. Rubinstein served as Chief Municipal Prosecutor for Lawrence Township from 2002-2005. Based on his experience trying cases and after completing a rigorous review process and testing, he was certified as a Civil Trial Attorney by the New Jersey Supreme Court. In addition, Rubinstein has provided distinguished service as a member of the Board of Governor's for the New Jersey Association for Justice. He served faithfully on the Board of Directors of the Jewish Family and Children's Services of Greater Mercer County since 2006. Rubinstein is the author of "West Thompson New Jersey Practice Series on Motor Vehicle Law." A frequent speaker on the effect of Municipal Court on personal injury matters, he also lectures on effective legal writing and litigation support for paralegals.